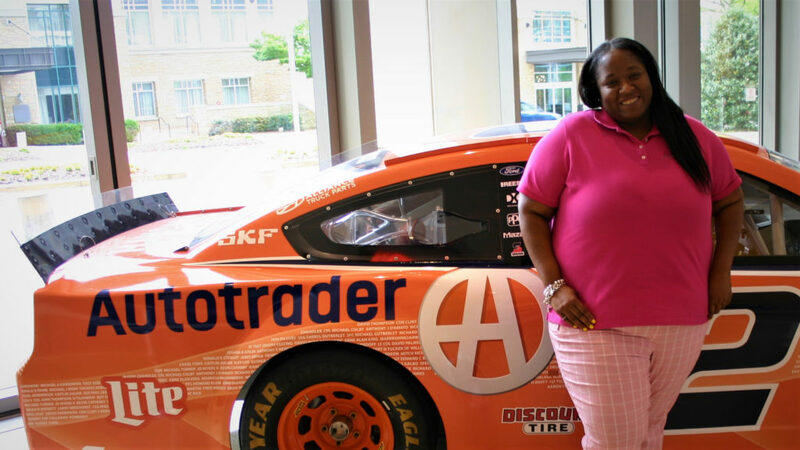 Shaferia Harris: Walking the Talk - Cox Automotive Inc. 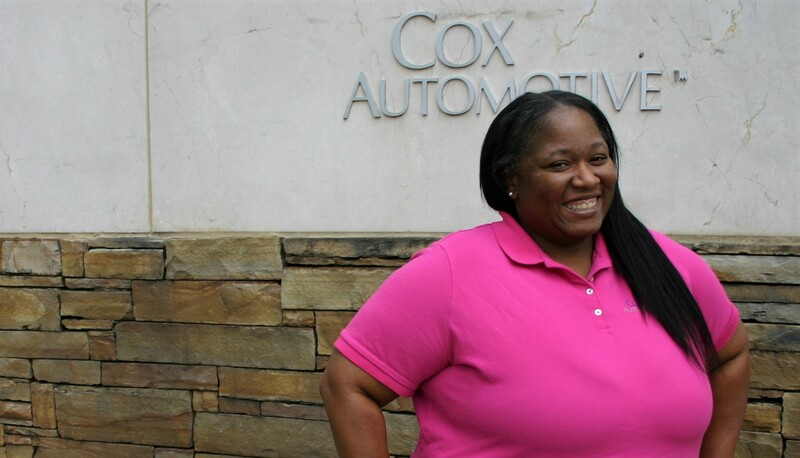 When Shaferia Harris joined Cox Automotive in 2008 as an account manager in the Dealer Services operations department at Autotrader, she was delighted to find an employer aligned with her personal values. Harris started out as curious, a student of the automotive business in her new job. In Dealer Services, she was proactive, looking for ways to benefit dealer clients as well as making herself indispensable to internal sales partners. She was so adept at learning, growing, and expanding her skill set, that Harris was tapped for an innovative program, an employee swap, for 90-days in the credit and collections department. While credit and collections might not sound compelling to some, Harris saw opportunity. Following the 90-day swap, Harris stayed put in credit and collections. A year later, she had the lowest outstanding delinquent accounts receivables in the company nationwide. Colleagues sat up and took notice. Soon Harris was sharing her approach – being a consultant first and then collecting outstanding payments. Harris’ stellar performance opened the door to another internal opportunity in a pilot program called Service Plus. The sales team encouraged her to make the move based on her proven record of client engagement and outstanding credit and collections. They knew she’d be a great fit – and she was. At Service Plus, Harris became the eyes and ears for her sales team in the field. She took deep dives into report analyses, observed trends, and figured out which dealers were having issues – offering insights and mitigants to sales consultants on the road. Cox Automotive continues to deliver on its promise of career growth and development for Harris. She cites long-time internal mentors, an open door policy without fear of retaliation, and above all, a company that puts its money where its mouth is. Cox Automotive funded Harris’ Six Sigma Green Belt certification and reimburses her tuition as she completes her MBA at Mercer University this year. “Cox Automotive truly invests in us, they really believe in their employees,” she stressed. Harris’s role at Service Plus was another stepping-stone in her career journey. She next joined the then-new Cox Automotive company, MakeMyDeal. This digital retailing platform enabled car shoppers and dealers to discuss and agree on the terms of a car deal online. Harris helped train dealers to interact with consumers online while maximizing their profitability. Her time with MakeMyDeal made her an ideal team member at another Cox Automotive brand, Dealer.com, which provides website and advertising solutions for dealerships and OEMs. From there, Harris leapfrogged into her current role as Senior Digital Retailing Specialist on Cox Automotive’s Digital Retailing team, servicing some of the largest dealerships in the country. She has become an expert on the evolution of digital retailing having experienced it up close and personal during her tenure at Cox Automotive. After 11 years, Harris remains fulfilled working at Cox Automotive, where team members have a voice and opportunity to improve their professional and personal lives. She says Cox Automotive is focused on people, values, and purpose, instead of just making money. Harris also cites Cox Automotive’s year-round commitment to community relations. Team members are encouraged to nurture relationships with nonprofit organizations for causes that matter the most to them. The company even carves out time during the workday for team members to step up. Interested in joining our team? Visit our careers site.